Short sleeves with palm-tree embroidery. For in-store inquiries, use sku #2450019. 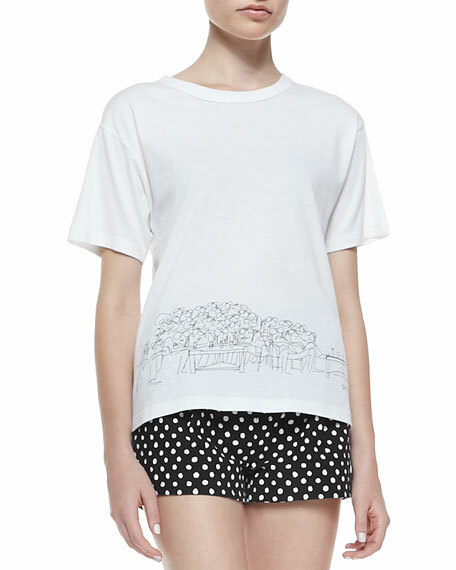 Band of Outsiders knit tee with St. Tropez cafe sketch at hem. Round neckline. Short sleeves. Loose, relaxed fit. Cotton. Imported. Model's measurements: Height 5'10"/177cm, bust 32"/81cm, waist 25.5"/65cm, hips 33.5"/83cm, dress size US 2/4. No. 21 tee with asymmetric beaded embellishments and ruffled trim. Crew neckline. Short sleeves. Boxy silhouette. Button-keyhole behind neck. Pullover style. Cotton. Made in Italy. 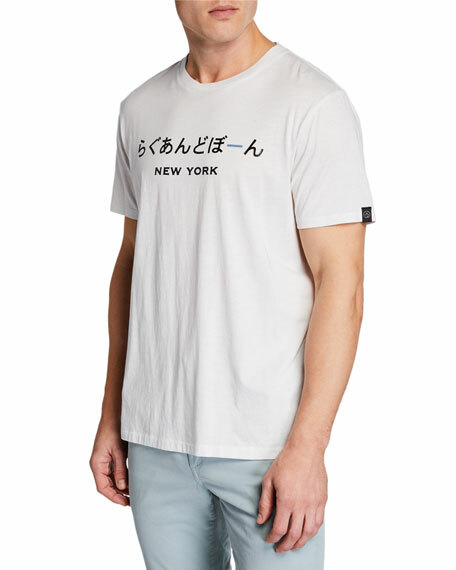 Rag & Bone cotton slub jersey tee with New York in japense lettering printed onto chest. Crew neckline. Short sleeves. Classic, relaxed fit. Straight hem. Pullover style. Cotton. Imported. 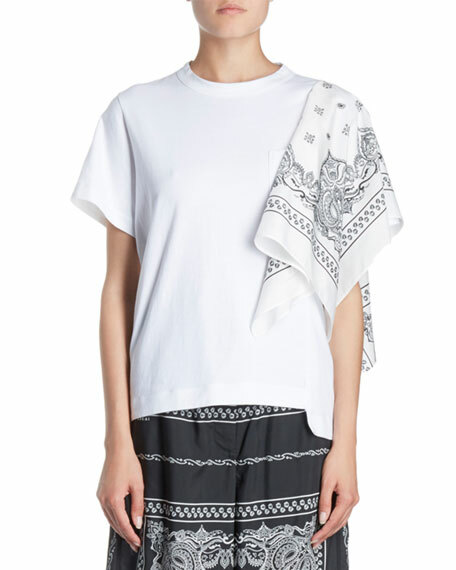 SACAI cotton tee with bandana-print scarf over left sleeve. Crew neckline. Short sleeves. Left chest pocket. Classic fit. Pullover style. Cotton; combo, polyester. Made in Japan.